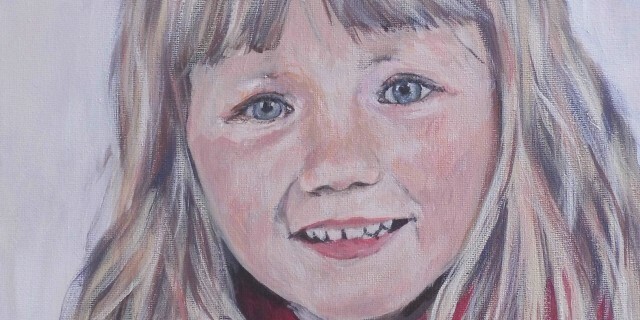 This children’s portrait of Nicole was commissioned as a Christmas present for her grandparents. Paintings can be commissioned to celebrate a particular event, to simply capture a moment in time or as an original gift for a special person. 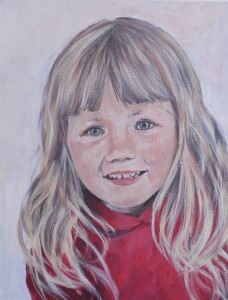 Most of my portraits are commissioned as gifts, often for Weddings, anniversaries or special birthdays. I can usually complete a painting within 3 weeks of receiving the photograph but if you have plenty of time then the earlier the better as some parts of the year are busier than others. Look at the portrait page for more information on how to commission a painting of your own.